If anyone has been traveling in between any other regions - continentals or even countries - and had a chance to look up in the sky, you will notice that the colors are different. They are mostly within the spectrum of blue, but somehow the results differ influenced by sunlight, the clouds or the air per se . We were once overwhelmed by the color of the sky in 'the Creation' by Michelangelo, but sure enough, the skies of Italy was just as it was in the painting. This month we collected different skies of several cities worldwide with big help from our friends, to compare the difference and come up with representative colors of them. Skies of 6 cities in June were collected with iPhone camera. No retouch was done to better compare with each other. The skies of cities below are in alphabetical order. 30 skies of Chicago and the average sky color, Chicago / June 2015. 30 skies of the island Fuerteventura and the average sky color, Fuerteventura / June 2015. 30 skies of Munich and the average sky color, Munich / June 2015. 30 skies of Seoul and the average sky color, Seoul / June 2015. 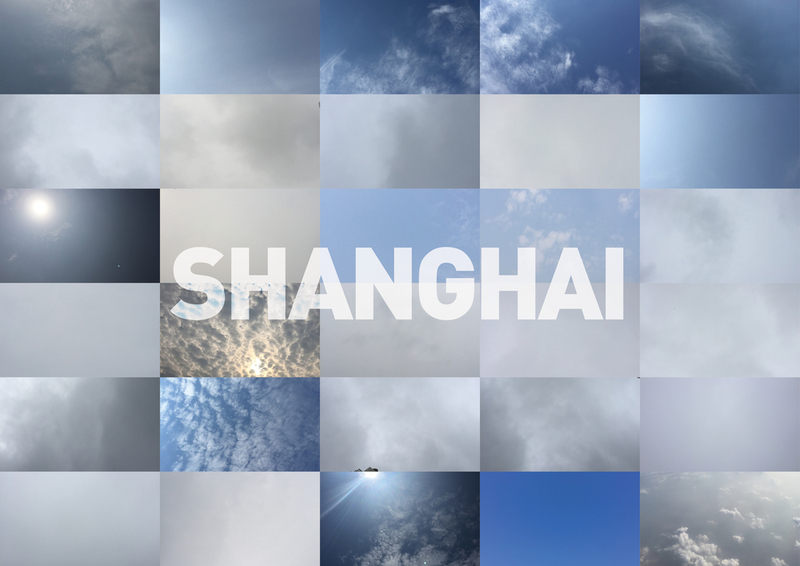 30 skies of Shanghai and the average sky color, Shanghai / June 2015. 30 skies of Wellington and the average sky color, Wellington / June 2015. 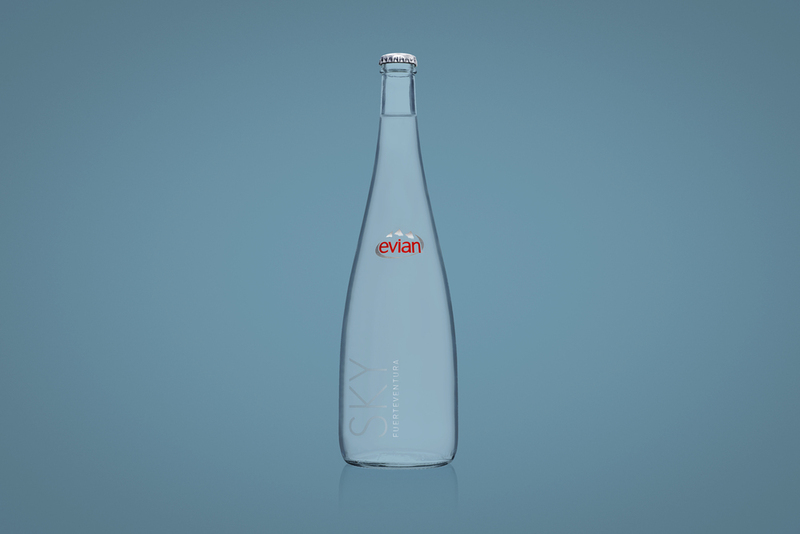 As an application, we propose Evian SKY edition bottles. 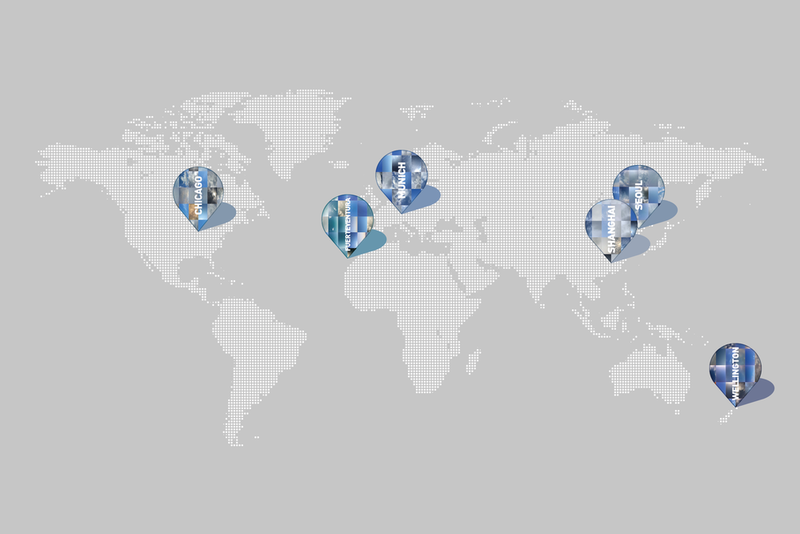 They represent the cities with subtle difference of colors that are extracted from the skies as depicted above. As a matter of fact, no one can avoid looking up the sky while drinking a bottle of water. Published on 30th of June, 2015.